Previously published as Simply Fortune Telling with Playing Cards. There is a certain romance attached to playing cards: from the riverboat gamblers on the Mississippi to genteel parlor games and the current popular surge in poker tournaments. How many of us while away our bored moments with a game of solitaire? This user-friendly guide will show you how to turn an ordinary deck of cards into a fun and simple tool for telling the future. Learn the past, present, and future with a regular deck of playing cards�no trivia, no special talents, no psychic ability. If you can read this, you can learn fortune telling with a regular deck of cards. 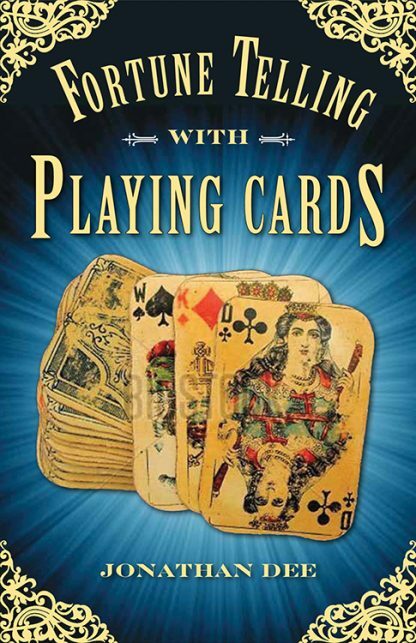 The author explains the meaning of each of the 52 cards in the deck, plus the Joker, presents several layouts for general readings, and answers specific questions.